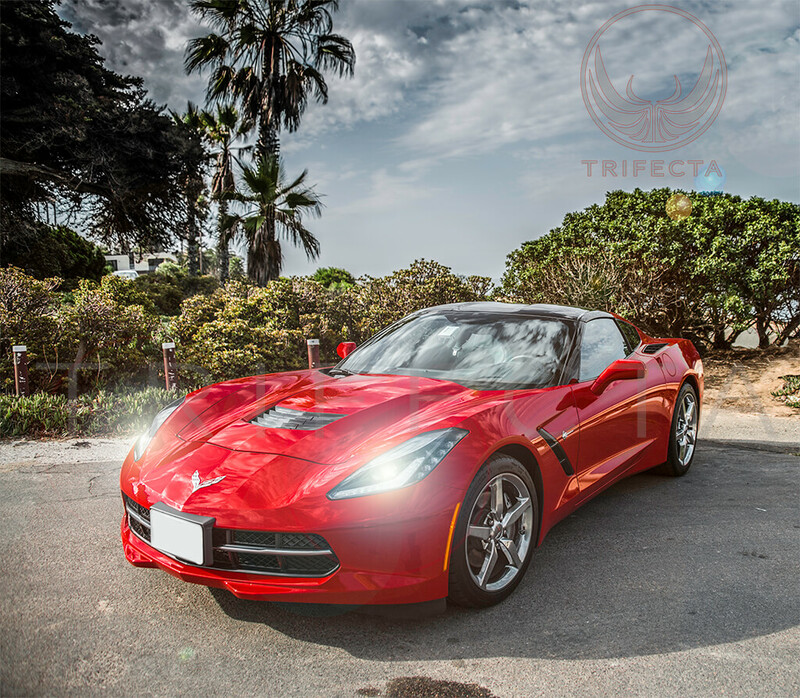 The tune really woke the SRX up! 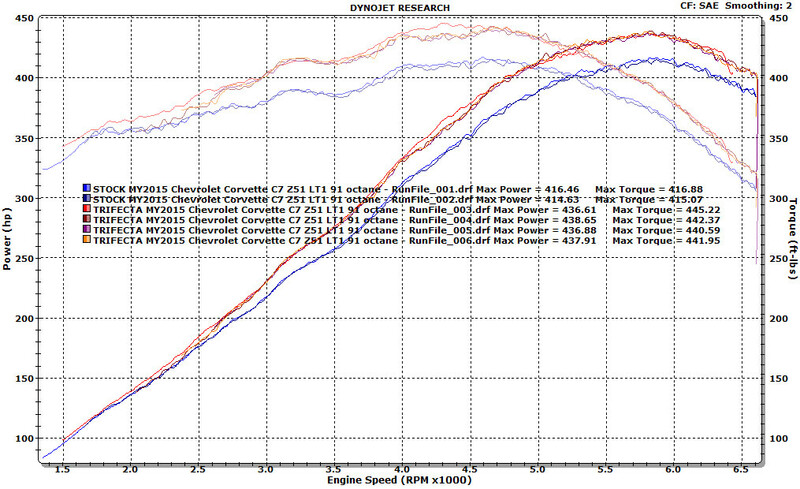 Very aggressive throttle response and definite gain in power. Thanks! 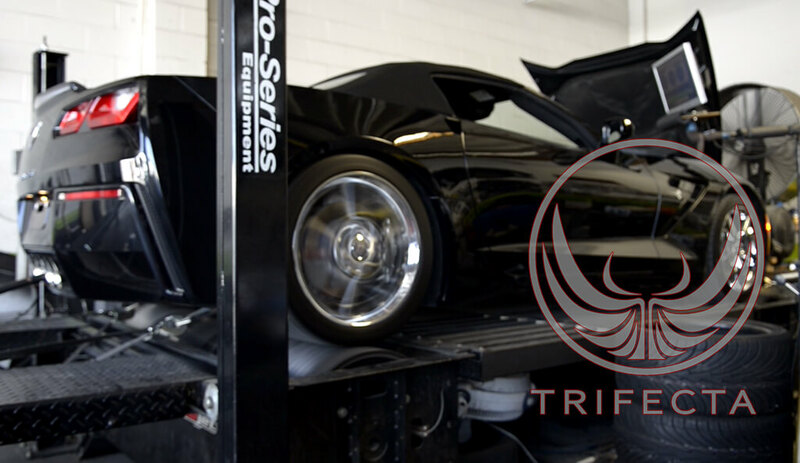 This release post is a presentation of the software engineering capabilities of TRIFECTA Performance: TRIFECTA presents a complete powertrain power delivery profile recalibration for the MY2015 Chevrolet Corvette / Corvette Z51 engine and corresponding 8L90 automatic transmission reprogramming. 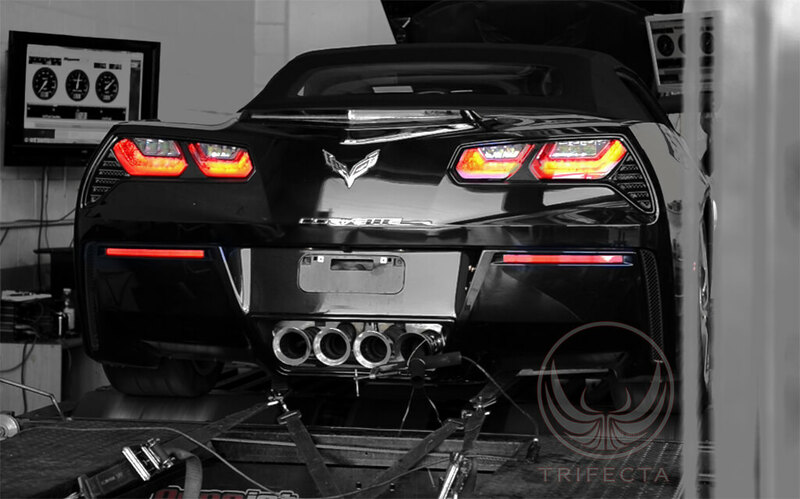 The TRIFECTA Performance Chevrolet Corvette C7 LT1 6.2L and Corvette C7 Z51 LT1 6.2L MY2015+ powertrain calibration is an easy to install software performance recalibration with an included flash loader device that will yield specific gains of +31 ft-lbs @3550 RPM and +24 WHP @5575 RPM (Peak gains of +26 ft-lbs and +22 WHP) to a completely stock Chevrolet Corvette LT1 6.2 MY2015 vehicle.